is one of the largest and brightest members of the Virgo Cluster. Located approximately 55,000,000 light-years distant from Earth, it has a diameter of 107,000 light years, and is an SAB(s)bc type spiral. Discovered by Pierre Méchain in 1781, M100 was one of the first spiral 'nebulae' to be discovered, and was listed as one of fourteen by Lord Rosse in 1850. M100 has two small satellite galaxies, NGC 4328 to its left, and NGC 4323 above, which is connected by a luminous bridge. 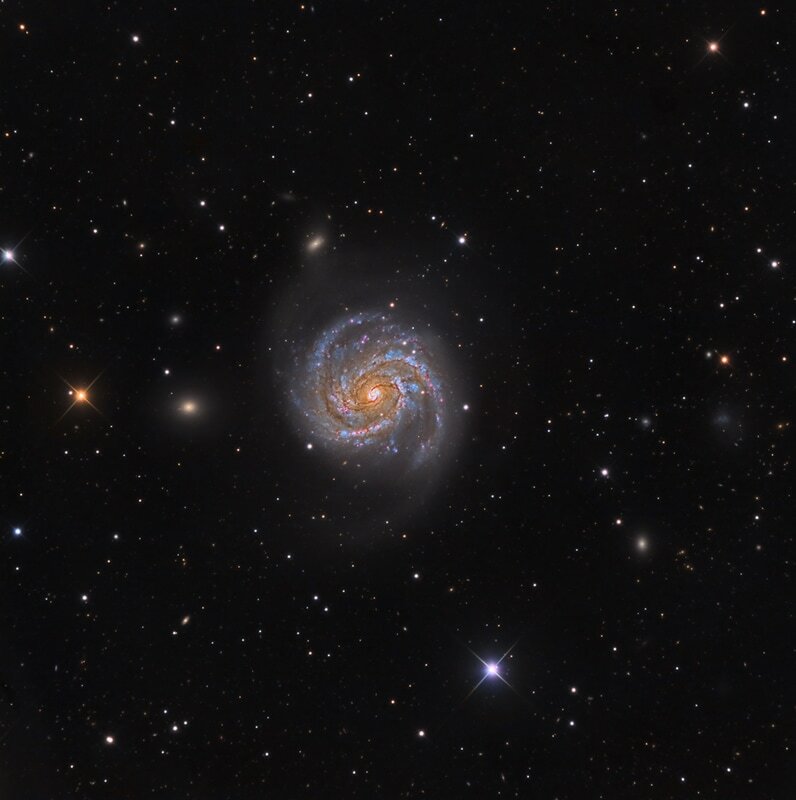 M100 is a starburst galaxy with the strongest star formation concentrated in its barred center. Several other wonderful and varied galaxies fill the field, including IC 783 at 3 o'clock, and NGC 4312 at 4 o'clock. This data was acquired by SSRO in 2017.